Yes Patterson Hood is the main lead singer of alt-country legends The Drive By-Truckers, he also releases solo albums when not recording a ton of albums or doing a ton of shows with his band. Heat Lightning Rumbles In The Distance is his third such release, it is also his best. The album has sad overtones, songs about leaving home to tour, the Depression and past mistakes pepper the record. What makes the album keep from becoming a moping session? Patterson Hood’s storytelling. 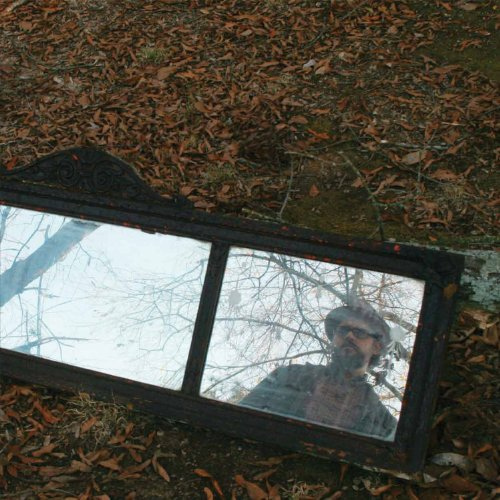 Patterson Hood is simply one of the top two or three storytellers in music today. His vivid imagery paints pictures in your mind as clear as the reflection on the mirror on the cover of the album. Some songs like “12:01” and “(untold pretties)” are as visual as a video for the tracks ever cold be. Songs like “Leaving Time” and “Fifteen Days (Leaving Time Again)” detail life on the road while still keeping the wheels from falling off. “Better Than The Truth” and “Better Off Without” keep the tempo up to keep the record from getting stuck in its own ruts. The album gets a full half star extra in this review for having a fantastic title as well as probably the best album cover of the year. Many artist don’t pay as much attention to these details as they should. The music is interesting and as always the lyrics are great from Hood, it is bound to be one of the most unnoticed great records of the year. This entry was posted in 250 word album reviews and tagged 250 word album review, 4 Stars, Drive-By Truckers, Heat Lightning Rumbles In The Distance, Patterson Hood, solo album, storytelling. Bookmark the permalink.